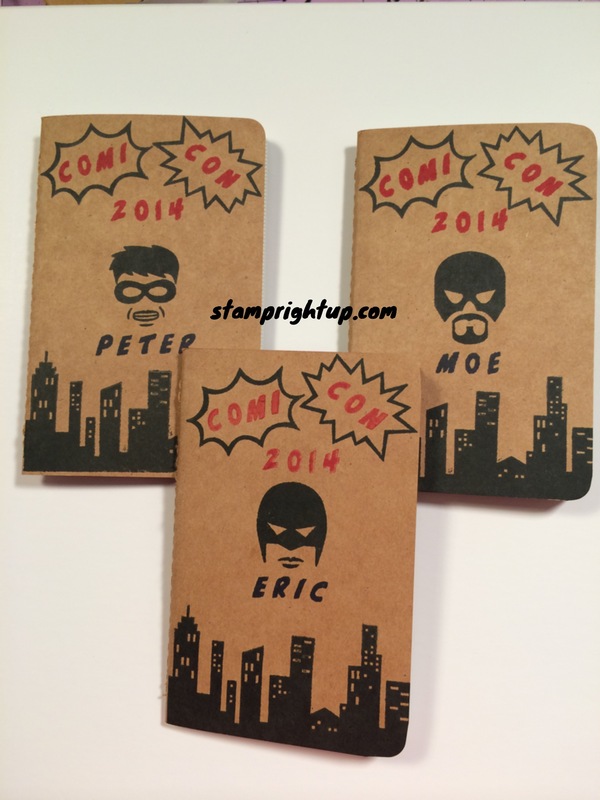 Stampin Up’s Calling All [Super] Hero’s Mini Journals | Stamp Right Up! My husband attends the Con every year as a pro, but I hadn’t realized it was also referred to by this name. Interesting! Thank you for sharing. Those stamps are too cute! Thankfully my sister-in-law is a demo; I will definitely need to hunt her down for this set; thanks! He goes to Con as a vendor?! VERY cool!! Thanks for following my blog! No, as an artist! He actually did the cover for the con a few years back. We go every year; it’s always a blast. Incidentally, there is a link to his blog on the side panel of my home page. Check it out if you get a minute.